Who Were the Historical Vikings? Many hundreds of years ago, warlords and warriors from agrarian, pagan Scandinavia set out from their rugged homeland as raiders, conquerors, explorers, settlers, and traders. 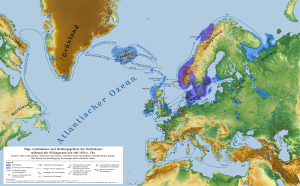 Their efforts made such a decisive mark on the surrounding lands and societies that that period in history has been named after them: the Viking Age. Historians have traditionally considered the Viking Age to have begun in 793, the year of the first major recorded Viking raid, which targeted a monastery in Lindisfarne, England. 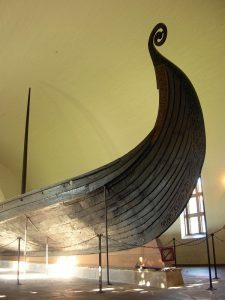 This is as convenient a date to use as any other, although Viking raids surely occurred earlier in the eighth century as well; English kings who ruled coastal areas had already begun organizing defenses against attacks by “seagoing pagans,” as one medieval English document puts it, before 793. The conventional date for the end of the Viking Age is 1066, the year of the last major Viking battle (the Battle of Stamford Bridge, also in England). 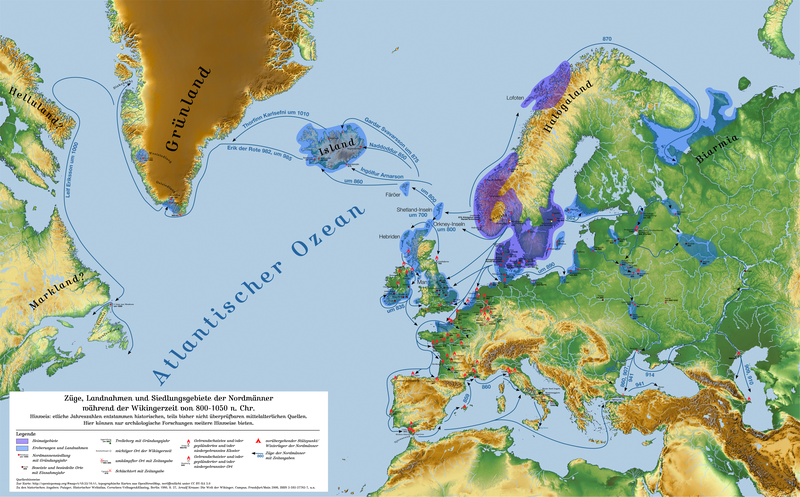 By that time, the Vikings’ neighbors had figured out how to ward off their attacks, and the Scandinavian societies had largely been brought into the European cultural, political, and religious mainstream. Between those two dates, the Vikings instilled dread and wonder in the minds and hearts of every people with whom they came into contact, who referred to them with epithets like “fearful wolves” and “stinging hornets.” The Vikings invaded and plundered countless settlements along the coasts and rivers of the British Isles, continental Europe, and North Africa. They conquered and ruled much of England, Scotland, and Eastern Europe, founding the Rus dynasty from which Russia gets its name. They journeyed westward across the North Atlantic all the way to the eastern coast of Canada, discovering North America five hundred years before Christopher Columbus. Along the way, they founded the societies of Iceland and the Faroe Islands, and established settlements in Greenland that survived for centuries thereafter. They served as the elite guard of the Byzantine emperor in Constantinople (modern-day Istanbul, Turkey), and maintained lucrative trade partnerships with the Arab world, which sometimes took them as far east and south as Baghdad. Despite these tremendous accomplishments, the Vikings’ lives weren’t all glory and riches. Most Viking Age Scandinavians spent most of their time on their farms, where they had to undertake seemingly endless hard manual labor just to survive in their pre-industrial society in a cold climate. Starvation, disease, and attacks on their villages and hamlets were ever-present dangers. The word “Viking” is first attested in English in the ninth century. It seems to have come from the Old Norse word víkingr, which referred to a man who went on an overseas military expedition as a member of a group under the leadership of a chieftain or king. The English word “Viking” can be used in two different senses: in the stricter sense, it refers only to the Norse raiders of the Viking Age, and in the looser sense, it refers to all Scandinavians of the period. On this site, the word is primarily used in that second, looser sense. The Vikings were called by many other names throughout Eurasia. Western Europeans most commonly referred to them as “Northmen,” “Danes” (even when they weren’t from Denmark specifically), or simply “pagans.” Those who settled in Eastern Europe were called “Varjags” or “Rus.” “Rus” seems to be derived from Roslagen, the name of a region in eastern Sweden from which many of them may have set out. “Varjag” comes from the Old Norse Væringr, which was probably a form of the title given to the Viking mercenaries who protected the Byzantine emperor in Constantinople. Væringr, in turn, likely comes from the Old Norse word vár, “oath,” a reference to the oath that such mercenaries would have sworn to defend the emperor. 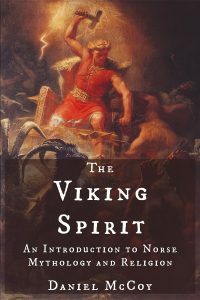 As with the word “Viking,” its usage would have expanded from that relatively narrow original meaning to refer to any and all Scandinavians of the period. Brink, Stefan. 2012. Who Were The Vikings? In The Viking World. Edited by Stefan Brink and Neil Price. p. 5. Brink, Stefan. 2012. Who Were The Vikings? In The Viking World. 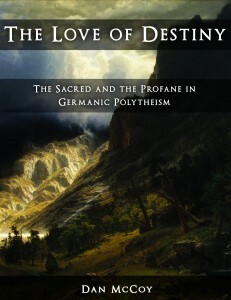 Edited by Stefan Brink and Neil Price. p. 5-7.